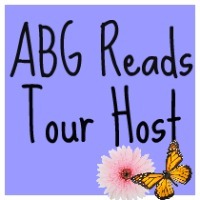 Please help me welcome author Erin Armstrong to A Buckeye Girl Reads! She is here talking about her book The Twisted Truth. Michelle Marshall is a strong independent woman with a lot of baggage. Raped right before the start of her senior year of college, Michelle grows to be a caring, single mother to her daughter. Things begin to look pretty grim when the Charity House, the women's shelter she founded, is on the brink of having to close its doors. That is, until Tyler Austin, a mysterious and handsome stranger comes into the picture. Helping Michelle resuscitate the Charity House, Ty also helps her learn to trust, love and feel what she hasn't in years. Not everything is quite as perfect as Michelle would like though, as occasional hints lead her to believe something is not quite right. Her suspicions are confirmed when even more frightening developments occur and start to become...deadly. 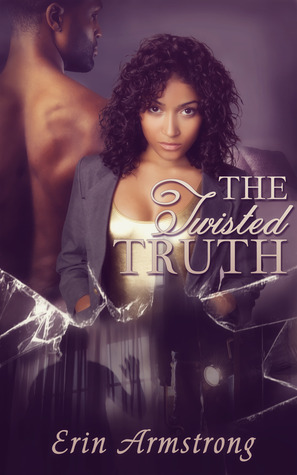 What inspired you to write The Twisted Truth? I started writing when I was ten years old. I loved reading and would read the same book over and over again until I got sick of reading it. So when I started to write and realized that I was good at it, I couldn’t stop. I had two and three books going at one time. And then when I got a little older… my imagination got working and I started making up a lot of stories(lied). Anything to make my life seem more interesting and exciting than it really was. And it was good too because everyone believed it! I used such detail for things that were not true that it was unbelievable. It didn’t hit me until I was an adult (and no longer a pathological liar) that I should become a writer. I had always been a dreamer. I daydreamed all the time and still do to this day. And because of that I knew that I could sit down and make all of my stories come to life. I wasn’t always happy that I couldn’t concentrate for longer than five minutes without drifting off but writing gave me a purpose to do that. In a sense, it was a way to be ok with my “ADD” like, spells of daydreaming. There was a purpose. I was writing and it was ok for me to “dream” these things and then write them down and watch them come to life in the coolest way! Did you use an outline when you wrote The Twisted Truth? I did not use an outline for The Twisted Truth. I now realize that that was not the best thing to do. However, once I begin working on my next book, I will do an in depth outline. I just feel that it would make things flow that much better. What was the road to publication like? Publishing my book was not easy. I started off with a publisher who really helped me to get my book finished. However, later on into the process I was let go because it just wasn't the right fit for myself and the company. I became really discouraged. I immediately began researching publishing houses and trying to figure out how I wanted to publish my book. Did I want to self publish or try to push for a traditional publishing house. After a few months, and many nights searching Twitter and other sites, I found my current publisher GMTA Publishing and the rest is history. What was the most difficult character to write? The most difficult character to write was Tyler. I am a woman and I don't know what it is to think like a man. I had t make him masculine yet sensitive for the female reader. I had to make him believable. But I have to say that I enjoyed building him up. And I actually began to feel what I wanted my readers to feel for him. That's when I knew that I was moving in the right direction. Do you have a favorite scene in the book that you can share with us? My favorite scene was when Michelle first met Tyler. I loved the tension that I built between them and the attraction that was not spoken but was obviously there. I think that set the tone for the rest of the book. What future projects are you working? Right now I am writing a sequel to my first book. It is entitled Dead Weight. Although I am so inundated with getting my first book going that I haven't been able to dedicate all of my time to writing my next book but it is coming! Erin Armstrong knew she wanted to be a writer at the early age of 10. Throughout her life she has written several short stories, but struggled to find her niche. Eventually she was able to sit and write all of her ideas and was finally able to make her dream a reality. Erin graduated from Franklin High School in Somerset, New Jersey and currently works for Easter Seals in New Jersey where she assists families with children with disabilities. She has been with the company for 5 years. Erin lives at home with her husband, Shamar, of over 5 years and her two boys Davien and Cameron. She enjoys spending time with them and watching them grow every day.